We’ve got SEO courses available for all levels. If you’re a beginner and you need help configuring WordPress, Yoast or Woocommerce, we have special SEO classes to suit. Check the next SEO training course dates for all levels to get the education you need. Master the principles and practical side of search engine optimisation. Classes are fun, informative and practical. Hands-on exercises will improve your website on the day. We have WordPress SEO workshops for digital marketers and small business website managers. You’ll learn the sound principles that a high performing page is built upon. You’ll be privy to a proven, repeatable formula used to attract qualified organic traffic for the keywords that really count. Class sizes are small- for thorough learning. In-house training is available. Personal SEO tutoring is offered throughout the year, on demand. Our search engine optimisation training courses will give you the knowledge and practical skills to make the changes to your website that bring traffic. Everything begins with a strong foundation. Understand what proper keyword selection and targeting can do to attract more traffic. We teach how to identify and target conversion based keywords- so that you can attract people when they are ready to become buyers. Learn page-level ranking criteria and how to optimise a web page for given keywords. Know the correct formula for keyword distribution, frequency and using supportive terms. The on page SEO training module covers co-occurence, word embeddings and looks at the proper way to use related terms, synonyms and semantics to drive your page higher in search results. Understand headings and titles. Know the difference- and how to tune them for the best SEO. Supplement text with supporting assets. Images, video and graphics can bring your website more verticals. Be found throughout image search, video search and know how these impact organic results for text queries. For some businesses, the map listings- make a tremendous difference to their bottom line. Some of our past students absolutely depend on appearing in the Google Snack Pack. Learn how to appear in the business listings for your keywords. There’s a dependable, repeatable formula for this- we’ve used it, we teach it- and we know it works! More visibility equates to more traffic! Optimizing your content correctly- is critical in bringing just the right web traffic to your domain. Private tutoring is available most weeks throughout the year. Bookings are essential, as we have small class numbers to allow for a better and more thorough, learning experience. 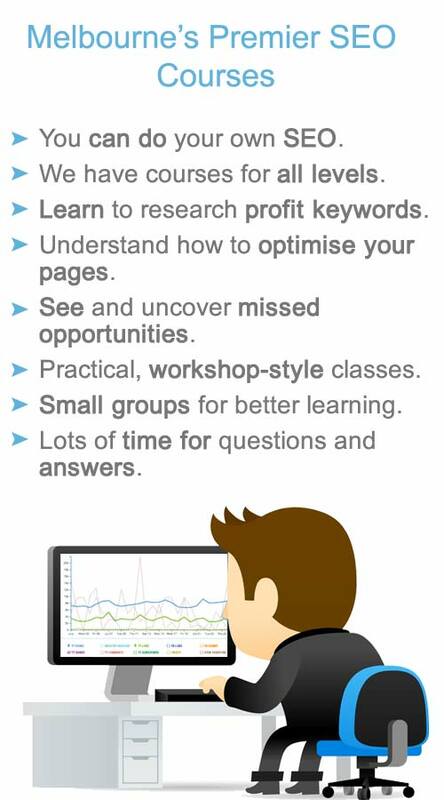 See the following dates for SEO courses. We’ve got classes scheduled most weeks during April and May 2019 and beyond. The training is for students of all levels. Course material has been developed especially for marketers, communications managers, SEO staff, and agency personnel. Each student receives an assessment of one website’s rank-worthiness. We reverse engineer a competitor’s on-page SEO strategy- as well as see what they haven’t done correctly- to give our attendees the best chance at boosting rank quickly. If you need a focused, one on one SEO course, individual classes with tailored lessons can be delivered at your workplace or our rooms. These focus on your website, your keywords and a unique strategy is developed for you to follow post-training. All private SEO tuition includes a second developer on the day who will work on fixing any technical errors or design issues your website might have. There is no other session like it- get website architecture problems sorted, fix crawl issues- get analytics installed or configured properly and implement proper directives into your website’s robots text file. 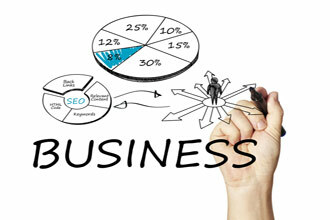 Tasks are done at any level- right through to advanced SEO and diagnostics. We’ll even show you how to reverse engineer your competitors’ strategies in more depth, so you can beat them in organic rank. The one-day SEO Masterclass can be booked as a private event. Two participants from the same business- can attend for the price of one! Read about the SEO masterclass workshop, to be held in May 2019. This exciting event covers a total digital marketing strategy in one action-packed day. 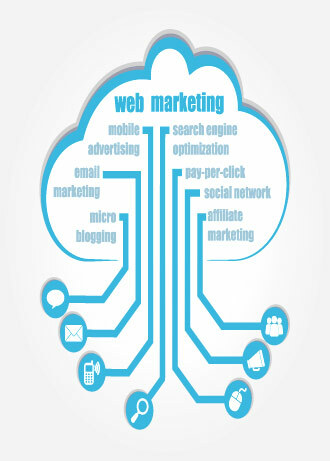 Examples of strategies are developed specifically for you, and implement on your website that very day. Content has been developed in order to teach practical, results-oriented skills. Learn by participation. Uniquely customised notes are part of every class. The material taught, is practical, informative and relevant to the most effective search engine optimization techniques of 2019. We teach only white hat methods at our SEO courses. They are tested to be safe on our own- as well as on client websites. What you learn will survive algorithmic updates with ease. When you come to understand the way professionals work, maintaining your website’s front page organic rank will be second nature. Our SEO courses cover specifics relating to all the popular web CMSs in use today. We’ll take you beyond the plug-ins- and show you how to get a finer level of control over how your pages are seen and indexed. If you want to gain an understanding how to build a website and include optimize it from the very beginning, we encourage you to look at our website design and SEO training courses, available during the day or in the evenings. Our conveniently locations provide the perfect opportunity for you to study, in a workshop environment where you get guidance on the practical use of what you learn. It’s wise to shift focus from the blue links of page 1 search results, and concentrate more on acquiring qualified traffic to your website. Every algorithmic adjustment brings updates and a tightening of ranking criteria. This happens in order to control how websites earn their rank. We will explain and tech you the skills required to hold your ground against websites that compete directly with yours. Safe ethical strategies to get you ranking in the short-term future and beyond. Whether you want to learn SEO to help you understand the work a professional SEO company is doing, or to do your own search engine optimisation- we will teach you all the skills you need to make a positive, dramatic improvement to your website rank within Google search. If you’re still doing SEO the old way- with keywords lists and spreadsheets… we’ve got some startling news for you! These days, there’s so much more to search engine optimisation than keyword search volumes. Understand how to spot the right time to work hard at optimising your website and when you should back off and give it a break. Sometimes you can do too much of a good thing! Learn what your visitors really want- what they expect from an authoritative website – one which encourages them to do business with you. Gain insight into how Google determines what sort of visitor experience you are providing, and how search engines decide whether or not your rank has been earned via sweat and effort, or trickery. Understand why reading about SEO on forums and websites where nobody is accountable for what is written- might get you started on the wrong path. You’ll know exactly where the traps are- and what mistakes to avoid. Ultimately control the success of your website. We work on client websites and have got them all to the top half of 1st page organic results for competitive, buyer-intent keywords. 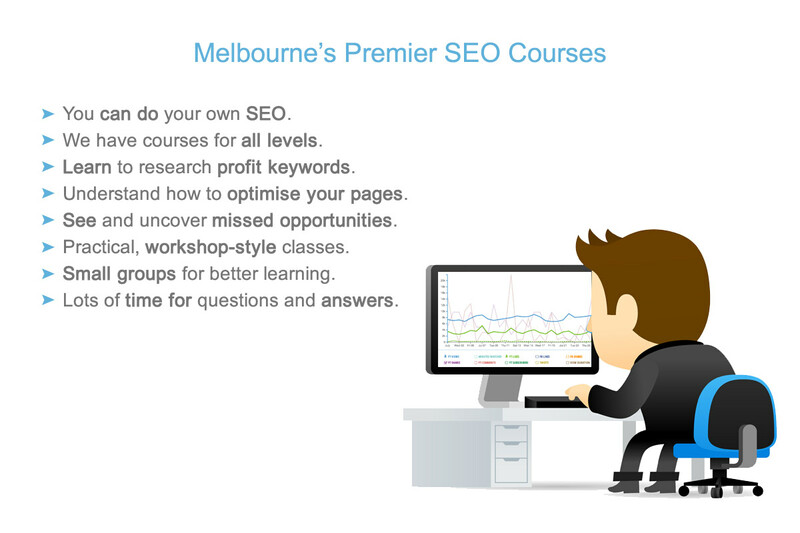 Our Melbourne SEO courses have been designed to teach you all the skills you need so that you can achieve the same results we do- and please your clients! Contact our Melbourne office to find out more.